Nine persons K, L, M, N, O, P, Q, R and S attend the seminars in three different dates 12th, 18th and 25th of the three different months viz., March, June and October of the same year. 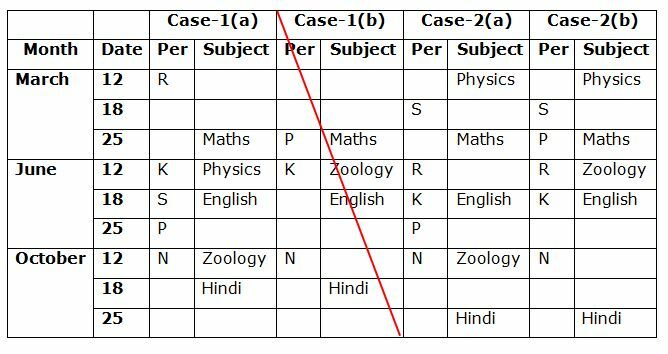 They are all attend the seminar on nine different subjects namely Botany, Chemistry, Computer, English, Hindi, Maths, Physics, Zoology and History but not necessary in the same order. 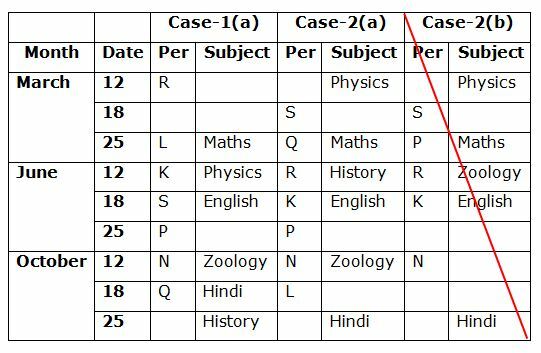 S attends the seminar immediately after the one who attends the seminar on Physics.Three persons attend the seminar between K and the one who attend the seminar on Hindi, who attend the seminar after K. K does not attend the seminar in the month which has odd number of days. Only one person attends the seminar between N and the one who attends English seminar but none of them attend the seminar on odd numbered date. As many persons attend the seminar before the one who attends Maths seminar is same the persons attend after N. The one who attends the Maths seminar does not attend in June. Two persons attend the seminar between R and the one who attends the seminar on Physics. S does not attend the Maths seminar. As many persons attend the seminar between N and the one who attends the seminar on History is same as the persons attend the seminar between L and the one who attend the seminar on English. Q attends the seminar immediately before the one who attends the seminar on History. Three persons attend the seminar between O and the one who attends the seminar on Computer. R does not attend the seminar on Botany.N does not attend the seminar before the one who attends English seminar.The one who attends the Zoology seminar attend immediately after P, who does not attend in an even numbered date. 1. R attends the seminar on which of the following subjects? 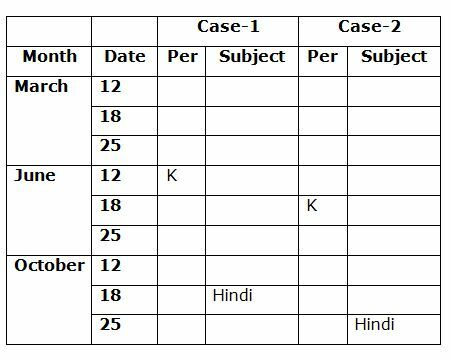 Three persons attend the seminar between K and the one who attend the seminar on Hindi, who attend the seminar after K. K does not attend the in the month which has odd number of days. The one who attends the Zoology seminar attend immediately after P, who does not attend in an even numbered date. 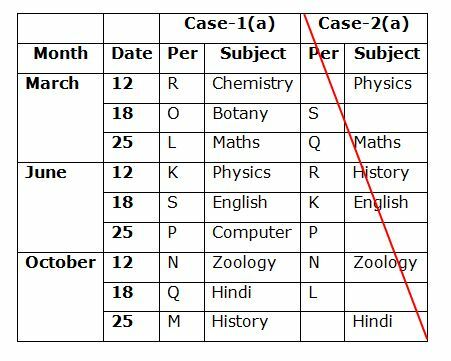 Only one person attends the seminar between N and the one who attends English seminar but none of them attend the seminar on odd numbered date. N does not attend the seminar before the one who attends English seminar. As many persons attend the seminar before the one who attends Maths seminar is same the persons attend after N. The one who attends the Maths seminar does not attend in June. Two persons attend the seminar between R and the one who attends the seminar on Physics. S attends the seminar immediately after the one who attends the seminar on Physics. S does not attend the Maths seminar. As many persons attend the seminar between N and the one who attends the seminar on History is same as the persons attend the seminar between L and the one who attend the seminar on English. Q attends the seminar immediately before the one who attends the seminar on History. Three persons attend the seminar between O and the one who attends the seminar on Computer. R does not attend the seminar on Botany. 2. How many persons attend the seminar between L and the one who attends the seminar on Hindi? 3. 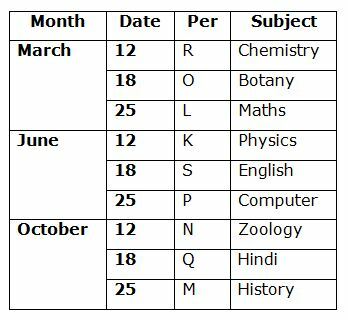 On which of the following dates does the one who attends the seminar on Computer? ‘P*Q’ means ‘P is daughter of Q’. 6. 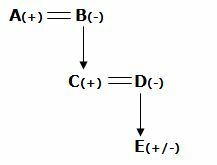 How is B related to E in the following expression ‘A#B@C%D@E’? 7. How is P related to J in the expression ‘J%K$L#M@N*P’? 8. In which of the following expressions ‘W is the cousin of R’ is definitely true? Point B is 5m to the north of point A and 7m to the east of point C. Point D is 3m to the south of point C. Point E is 4m to the west of point D. Point E is 5m to the north of point F, which is 2m to the east of point G. Point H is 3m to the east of J and 7m to the north of G.
9. What is the direction of point G with respect to the point B? 10. If point X is 4m to the south of point J, then what is the direction of X with respect to point A and how far? S attends the seminar immediately after the one who attends the seminar on Physics. 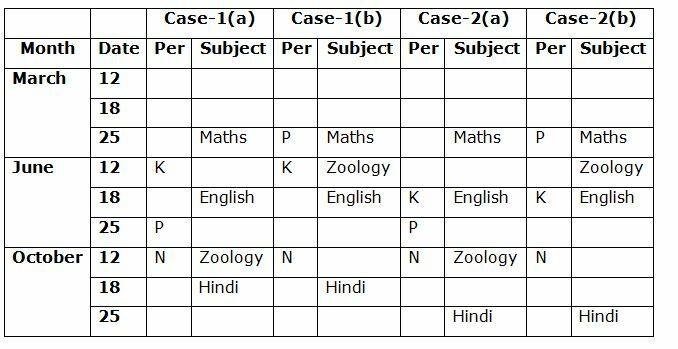 Three persons attend the seminar between K and the one who attend the seminar on Hindi, who attend the seminar after K. K does not attend the seminar in the month which has odd number of days. Only one person attends the seminar between N and the one who attends English seminar but none of them attend the seminar on odd numbered date. As many persons attend the seminar before the one who attends Maths seminar is same the persons attend after N. The one who attends the Maths seminar does not attend in June. Two persons attend the seminar between R and the one who attends the seminar on Physics. S does not attend the Maths seminar. As many persons attend the seminar between N and the one who attends the seminar on History is same as the persons attend the seminar between L and the one who attend the seminar on English. Q attends the seminar immediately before the one who attends the seminar on History. Three persons attend the seminar between O and the one who attends the seminar on Computer. R does not attend the seminar on Botany. N does not attend the seminar before the one who attends English seminar. The one who attends the Zoology seminar attend immediately after P, who does not attend in an even numbered date. 1) R attends the seminar on which of the following subjects? 2) How many persons attend the seminar between L and the one who attends the seminar on Hindi? 3) On which of the following dates does the one who attends the seminar on Computer? 6) How is B related to E in the following expression ‘A#B@C%D@E’? 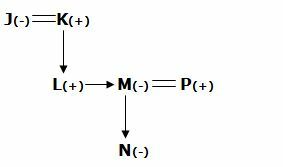 7) How is P related to J in the expression ‘J%K$L#M@N*P’? 8) In which of the following expressions ‘W is the cousin of R’ is definitely true? 9) What is the direction of point G with respect to the point B? 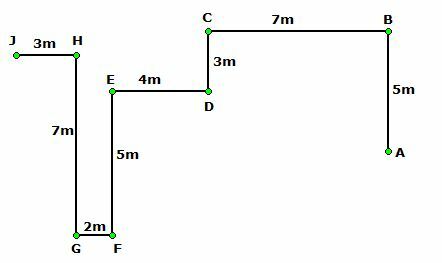 10) If point X is 4m to the south of point J, then what is the direction of X with respect to point A and how far?